I decided on a rusty-earth palette for this incarnation and my associate designer Julie Fischoff made new chaps and wild accessories. 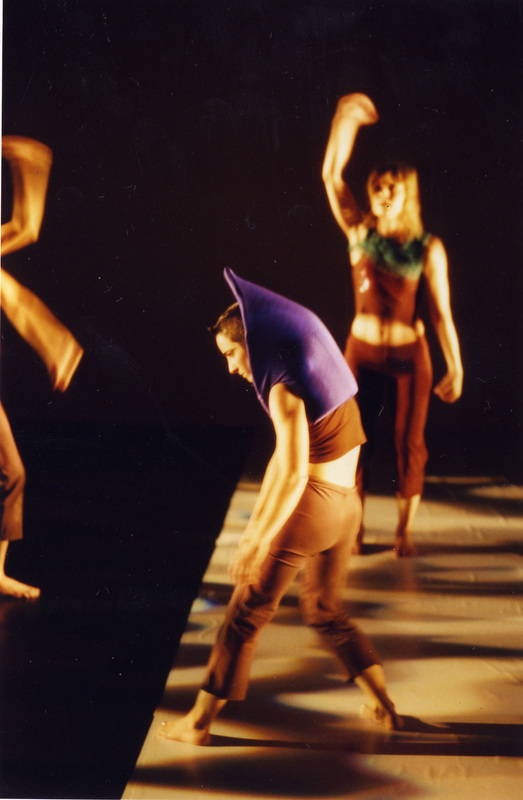 We had mylar visors, hairy ruffs, foam humps and a spandex hood that sprouted a dancer’s ponytail. 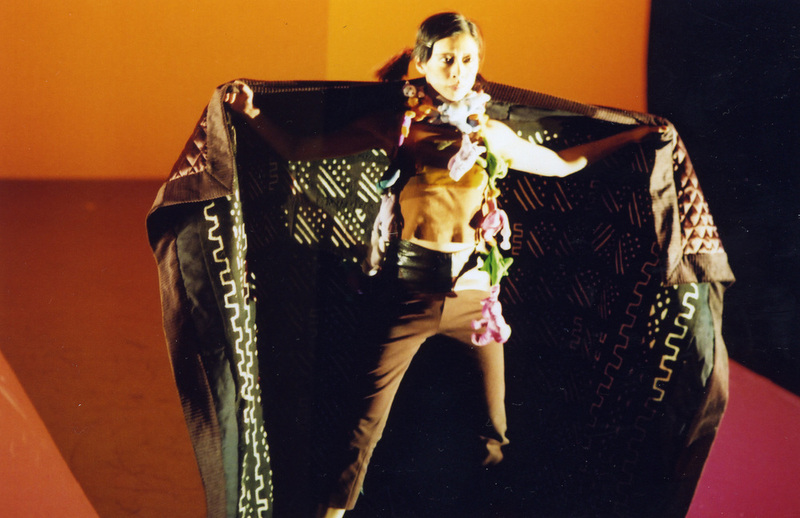 My favorite detail was unplanned; we had sewn clear vinyl patches to the front of the dancers’ tops, and when they began to sweat, the vinyl fogged up in fuzzy patterns like little TVs. This was the kind of inspiring, collaborative, alchemical design process I live for. Cast: Sally Silvers, David Thomson, Jamie DiMare, Noemi Segarra, Karen Sherman, Julie Atlas Muz, Cynthia Fieldus, Amy Lee, and Mark Robison.